Discover the blissful Costa Brava, less than a two-hour drive from Barcelona, the Costa Brava stretch of the Mediterranean is something else. Endless coves line the stunning coastline, postcard-perfect whitewashed villages set against the pine-covered hills role into the pristine turquoise waters. Strikingly beautiful vineyards producing spectacular Empordà wines and no end of top-notch eateries. This is heaven on earth for the bon vivant seeking peace and tranquillity away from the tourist hoards. We at Cellar Tours will prepare your personalized, chauffeur driven, luxury Costa Brava experience with the utmost detail. The fabulous Mas de Torrent, five-star luxury spa resort will be your base and from here you will visit numerous pretty fishing villages such as Cadaqués, Tamariu, and Calella de Palafrugell. You will spend a superb day sea kayaking around the Cap de Creus, with your own experienced guide, replenishing fuel with a delightful picnic paired with Celler Hugas de Batller wines and served by one of their team. Tastings and personalized VIP tours of other wonderful wineries featuring a 4×4 drive through the vines are on the agenda, as well as a variety of dining experiences, including some Michelin, starred restaurants and all expressing the best the Costa Brava has to offer; superior quality ingredients prepared with the highest care and attention to detail that can be savored whilst looking out over some of the most breathtakingly beautiful landscapes and coastlines. Please contact us for more information about how we can prepare the most memorable tour for you, customized to your group size, travel dates, and preferences. Your private chauffeur and luxury Mercedes will collect you at Barcelona (or Girona) airport. Head to the gorgeous Costa Brava Coast! (Please note the best starting day for this tour is Wednesday). You will kick start this gourmet tour with a fabulous welcome lunch with expert wine pairings at Bo.Tic in Corçà. Opening their doors a little over 10 years ago, this young dynamic team ooze passion and creativity. The tasting menu is absolutely sublime and a truly awesome way to experience some of the best Empordanese cuisine perfectly presented, a true work of art. You can look forward to the likes of “Corn, foie gras and Pedro Ximénez, Walnut and roast duck, Tuna tartar, beetroot and feta cheese, Razor shells, pickles, oyster leaf, and bottarga or Raspberry, beetroot and roses”. After lunch, enjoy a digestive walk along the absolutely gorgeous coastline of Aiguablava. Pristine, clear, turquoise waters, gently lap the white shores. 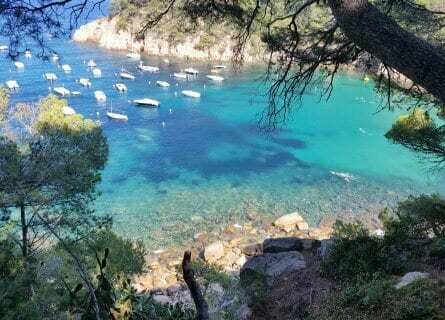 Follow the winding roads round to explore the darling coves of Sa Tuna, with its pretty whitewashed fisherman houses set against the pine-covered hills and then Sa Riera, one of the larger beaches in the area yet beautifully preserved with its traditional character. 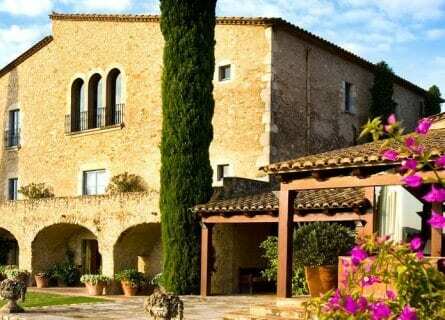 Then carry on to your glorious hotel, Mas de Torrent, an exclusive five-star hotel set in a converted eighteenth-century Catalan farmhouse. Spacious rooms feature traditional and elegant decor in the main house and light yet cozy rooms are found in the garden accommodation, some with a private pool. Check in and enjoy the beautiful grounds and spa. For dinner this evening you could check out the Mas de Torrent gourmet restaurant which offers traditional Catalan cuisine and an extensive wine list. This morning you will be taken to the glorious Llançà beach for a fun, full day Sea Kayak experience on Cap de Creus. You will have your own English speaking private kayak guide who can adapt to all levels of kayaker including the novice. This is such a fun way to enjoy the sea life, the calm, crystal clear waters enable you to see what’s going on below. You will explore the sea caves and rocks and hear endless interesting anecdotes about the flora and fauna from your fun, informed guide. Lunch will be a delicious picnic in a tiny cove and accompanied by excellent local wines served by a winemaker from Celler Hugas de Batller who after lunch will take you on a 4X4 tour of the coastal vineyards. Spectacular views from the terraced vineyards, some of which are 400 meters above sea level. Here they pride themselves in their environmentally friendly practices, preserving the land which is fundamental to their top quality wines. Then head up to the stunning Monestir de Sant Pere de Rodas for a stroll around, taking in the truly dramatic views over the Cap de Creus. This striking monastery is a superb example of Catalan Romanesque architecture, it was built over the 11th to 14th century and you can still see fragments of the scenes from the life of Christ that were carved in white marble on the outside walls. Before returning to your hotel you will visit the fabulous Cellar Cansais winery for a tour and tasting. Your exuberant, dynamic host, Maria will passionately walk and talk you through her beautiful estate which has been in her family since the 17th century. Explaining how the stony, slate soils with their high mineral content and location, only 5km from the sea influence the finished result, her sumptuous wines. After this fascinating tour, you will get to savor the wines before heading back to your luxurious gourmet resort for a free evening. This morning you will experience a “Catalan Wine breakfast”, whilst tasting the divine wines at the Martin Faixo estate you will feast on a traditional Catalan breakfast of “pan con tomate” bread with tomato, “butifarra” a local sausage, white beans and “jamón iberíco”, Spanish cured ham. Another family-run winery, now in their 3rd generation, the grounds are absolutely beautiful, and the traditional family house is now the winery. 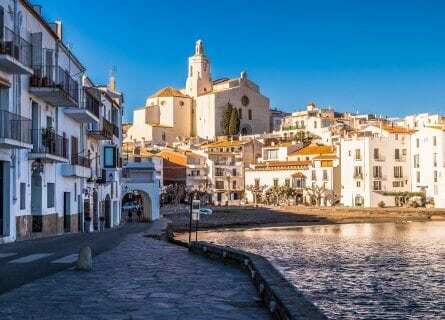 Carry on to dreamy Cadaqués, quite possibly the most beautiful Spanish village on the Mediterranean. The complicated, if not slightly hair-raising journey in has most likely helped to preserve it and it remains off the mass tourist route, so you can still soak up the idyllic ambiance and picturesque views that have inspired so many artists including Picasso and Salvador Dalí. You will have some free time to enjoy this darling village, take a coastal walk or do a spot of shopping in the cute boutiques. Lunch follows and it’s a foodie extravaganza down the road at Michelin starred Els Brancs, with first-class views over the dazzling Bay of Roses. Since 1963 Els Brancs have prided themselves in providing the haven where the two treasures of the Costa Brava meet; landscape and cuisine. Expect to discover such delicacies as “Crayfish from Roses Tartar with Ossetra caviar, Grilled rockfish from Cap de Creus, White asparagus from D.O. Navarra in their juice with tender almonds and truffle or Rabbit loin in escabeche with fennel and Mató cheese”. After lunch, you might like a digestive walk or explore more of the coast by car, perhaps visit the Salvador Dali house at Portlligat, before heading back to your wonderful resort. Explore some of the adorable beach villages of the Costa Brava today and a stunning lunch. Start the day at pretty Tamariu, 500 meters of sand in a perfect horseshoe cove, backed only by a pedestrianized street lined with cafes and restaurants. Stroll around, take in the striking scenery and sip on a café before heading to the equally delightful Calella de Palafrugell. This ancient fishing village is perfect for a wander around the narrow streets lined with quaint fisherman’s dwellings. It’s rugged, rocky coastline is formed of a string of small coves. You will be able to look down on a number of them as you stroll along the coastal path into Llafranc. This heavenly seaside town is another perfect example of what makes the Costa Brava so special; two-story, whitewashed townhouses with splashes of color on the shutters, contrasting against the rich green pine forest hills leading down to the turquoise crystalline waters. Lunch will be on your own here with our suggestions in one of the numerous divine eateries. Casamar, for example, is super. The afternoon will be relaxed and dedicated to the coastal scenery. Your chauffeur will help you choose which coves to pop into. 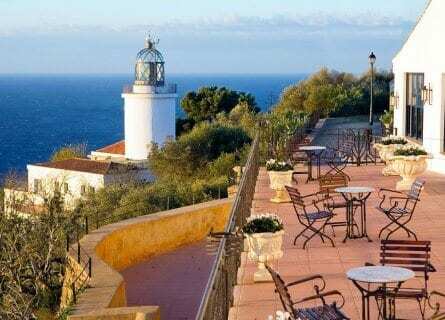 Then back to your hotel to freshen up and get ready for your fabulous farewell dinner at the phenomenal El Far restaurant at Sant Sebastiá, as the name suggests the restaurant overlooks a charming lighthouse, providing the most romantic views. The food is as equally delightful, the rice dishes and paella being the specialties. Leaving room of-course for dessert; “Crema Catalana” the local interpretation of a crème brûlée with pine nuts and homemade vanilla ice-cream or El Far Sacher cake – chocolate heaven! 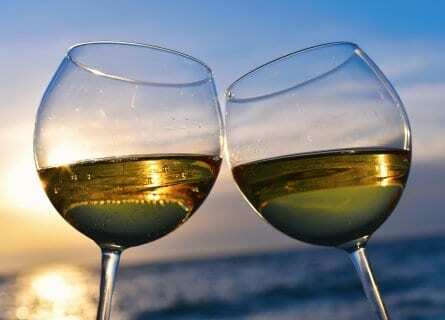 All paired with outstanding wines to toast the end of your astounding Costa Brava gourmet tour. Enjoy a leisurely breakfast and depending on your timing for your next port of call, you could perhaps make the most of one last spa treatment at the Mas Spa. Carry on to Barcelona or Girona airport, or your next destination, as this concludes your luxury Costa Brava experience. We hope you have had a terrific time. Buen Viaje!